Situated at 67 metres above sea level, Leporano is a small town of the province of Taranto which lives of tourism and agriculture. Olive oils and wines of high quality are locally produced. In a quite high position the town faces on to a coastline where there are a series of inlets and bays, some with sand and rocks, that are appreciated by tourists during the Summer months. The town is very rich of history. There are remains that prove that the lands were already inhabited since the Bronze Age, continuing through the Iron, Roman, Greek and Middle Ages. Near to the sea there are the rests of a Roman villa where it is possible to admire a very elegant mosaic pavement. 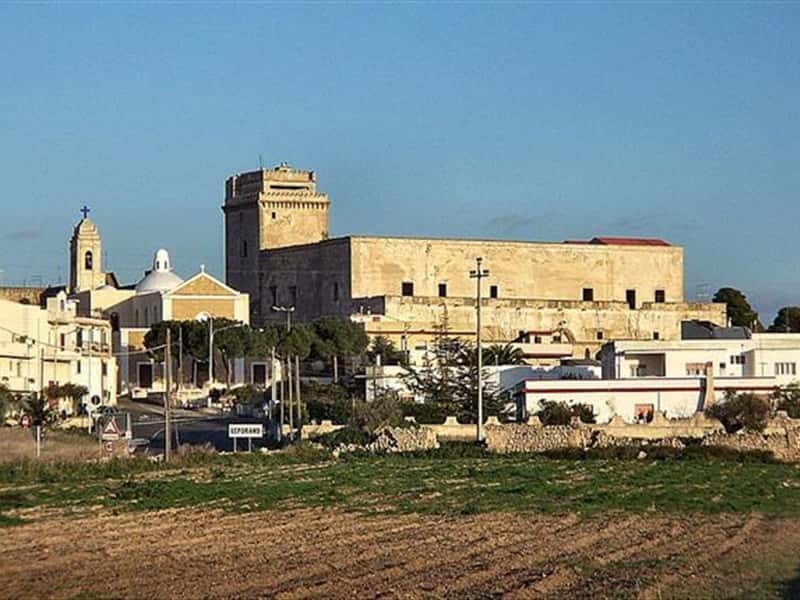 The most important site is the Castle in Carparo, built in '600 on the ruins of a previously built Spanish (Aragonese) castle, and presents high defensive walls on the seaside. This town web page has been visited 17,505 times.